We have had some good activity for the first few weeks of the year. 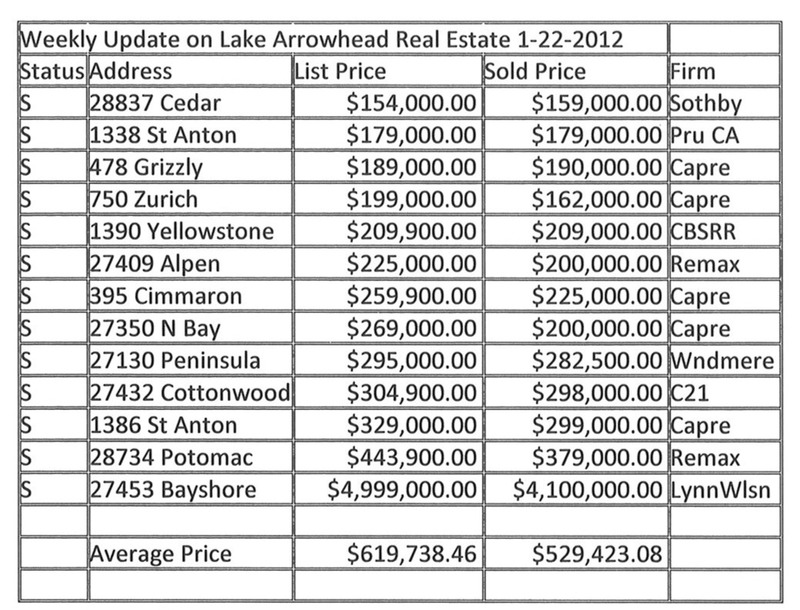 Lake Arrowhead home sales are starting off well. 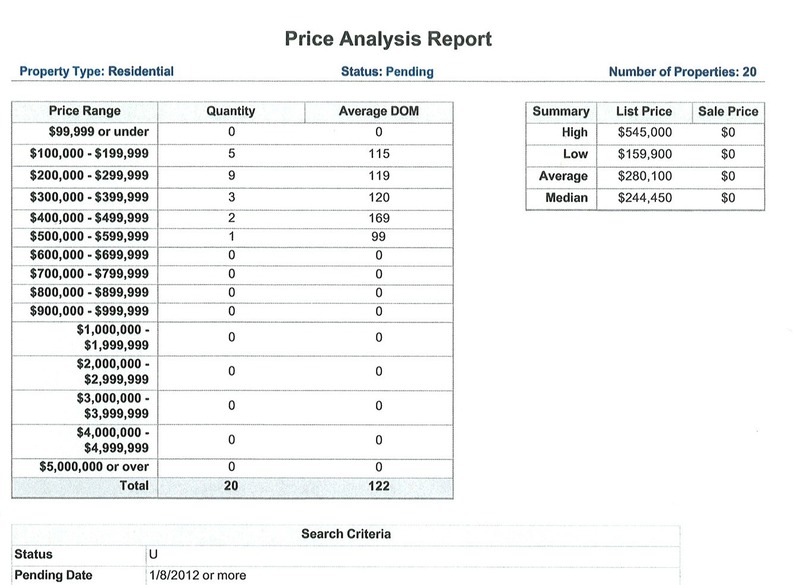 We have had 13 homes sell and 20 homes go pending in escrow since January 8, 2012. The following charts will show more detail for the homes that have sold. Information was obtained from the Rim of the World Association of Realtors. Information is deemed reliable but not guaranteed.